We’re almost beginning to feel bad for Alan Hevesi, who’s clearly about to get dragged over some serious coals in the wake of a misdemeanor so bland it didn’t even cost him a reelection. First the governor-to-be Eliot Spitzer withdraws his support and (in his current capacity as the attorney general) launches a probe into Hevesi’s wife-chauffeuring ways. Now, governor-not-much-longer-to-be George Pataki is matching Spitzer in the pile-on, unilaterally granting his own investigator subpoena power. The move, which allows the special counsel to collar witnesses and drag them to court if there’s ever a trial, is a setup for a State Senate removal proceeding — a rare procedure that will likely end up arranging Hevesi’s eviction from Albany. It’s also a clear signal to all state authorities to cooperate with the investigation. That said, the trial is unlikely to start this year, because then it would only affect Hevesi’s current term. 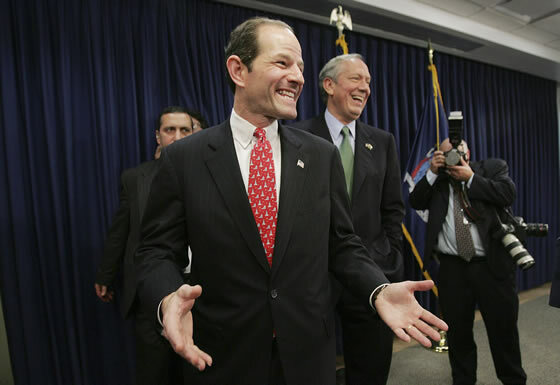 But that’s okay: Don’t forget that Spitzer’s AG investigation is still ongoing, too. Isn’t it nice when the incoming and outgoing administrations can agree on something?